Railway Minister Suresh Prabhu is announcing the Railway Budget 2016 in the Parliament. The announcements made so far are directly linked to the economic development of the country and providing digital services for better facilities. Prabhu said the Rail Budget was inspired by Prime Minister Narendra Modi's vision of economic development and introduction of digital services. He added that the budget reflects the aspirations of the common man. "A budget that reflects the aspirations of the common citizens of India. This is a budget that has been fashioned by a creative partnership: with ideas from my colleagues in Parliament, industry associations, commuter associations and practically all sections of the society. I would like to thank each one of you," he said. Catch all the live updates on our live blog. 400 stations to be redeveloped. 17,000 bio-toilets in trains. Additional toilets will be provided at 475 stations by FY16. One-time registration for availing concessions while booking tickets. Milk products, OTC medicines to be made available on platforms. E-catering services to be introduced at 400 stations in FY17. All tatkal counters to be monitored by CCTV. Bar-coded ticketing system to be put in place. Wi-Fi services at 100 new stations this year. Rail University to be established at Indian Railway Academy at Vadodara. 1,780 automatic ticket vending machines to be installed. To invite bids to develop a few large stations under the public-private partnership model. 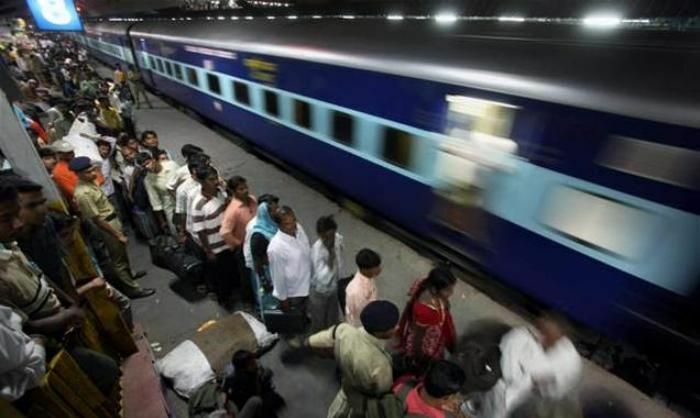 Senior Citizen quota increased by 50 per cent, resulting 120 lower berths per train for senior citizens. CCTV surveillance will be brought to all major stations - in order to move to a zero accident regime. All India 24x7 helpline number introduced for safety specially women. 2,500 water vending machines at stations. 44 new projects valued Rs. 92,714 crores to be implemented this year.